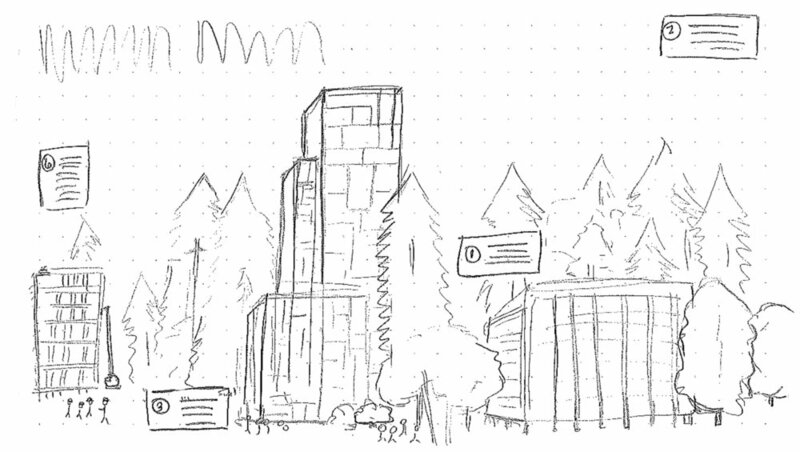 The original concept for this illustration was to demonstrate how wooden skyscrapers can seamlessly integrate with nature, and in the first sketch there is more of a forested landscape. After working further with the client, we understood it to be important to illustrate the buildings in a more urban environment, since that’s where many currently exist. By illustrating existing buildings we can show the various capabilities of wooden technology through their height and by linking out to the building profiles. In order to incorporate more information about mass timber technology, we made the infographic completely interactive. 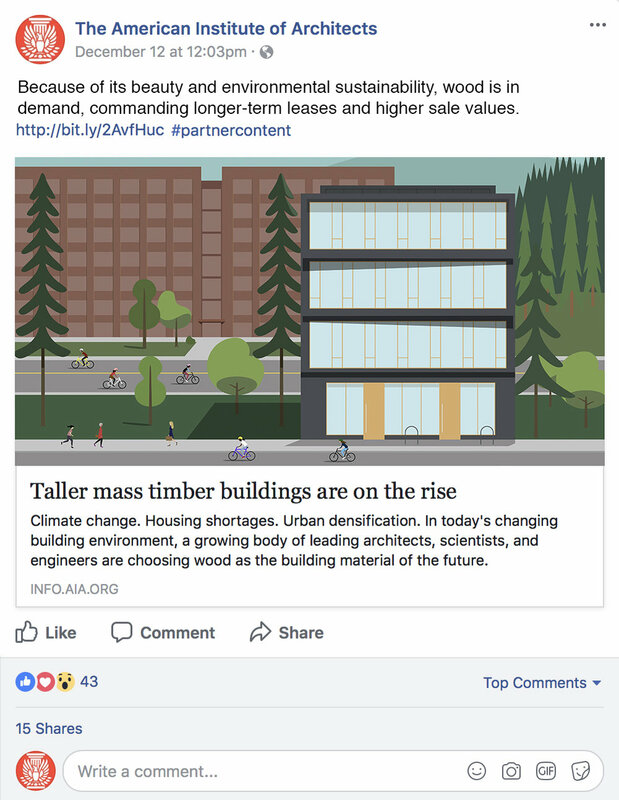 By clicking on the plus signs, the user can learn more about why architects should be interested in working with mass timber.